Islamic State claimed responsibility for a suicide car bomb attack on a security checkpoint near Iraq-Syria border that killed at least eight people and wounded 12 earlier on Wednesday. The attacker drove a car rigged with explosives into the checkpoint in al-Qaim district, which was jointly manned by the Iraqi army and Shia militias, Mayor Ahmed Al-Mehlawy told Reuters news agency on Wednesday. ” Security forces in the Qaim district noticed a suspect Kia vehicle and shot at it after it turned out to be rigged and driven by a suicidal terrorist, which led to its explosion and death of seven people, including four from the security forces and three civilians,” the military said in the official statement. The town’s mayor, Ahmed Al-Mehlawy, said five militiamen and three civilians were killed in the attack and some wounded were in a critical condition. However, a security personnel said the death toll was higher than earlier mentioned, saying attack killed 21 people including 15 militiamen. Islamic State claimed responsibility for the attack and said it killed 28 people, contradicting the official death tolls. Al-Qaim had served as a crossing point for ISIS fighters, weapons and money. Iraqi Prime Minister Haider-al Abadi announced on November 3, 2017 liberation of the district of al-Qaim from Islamic State militants but al-Qaim still experience the threat of kidnapping, slaughtering, terror attacks from ISIS. 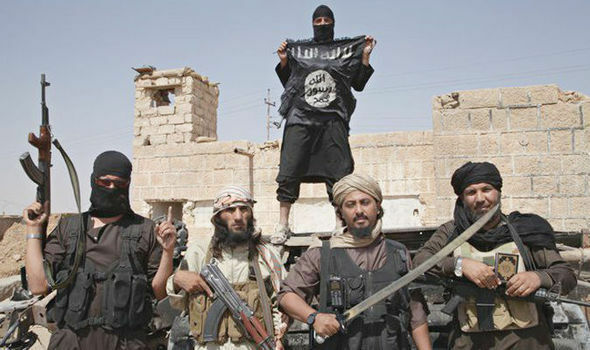 According to a recent United Nations report, there are between 20,000 and 30,000 ISIS members present in Iraq and Syria, despite the groups’ defeat and a halt in recruiting foreigners. Since 2014, ISIS forces have carried out the most serious human rights abuses, war crime and crimes against humanity. The UN and Iraqi government believe thousands of ISIS are hiding out in Iraq among sympathetic communities as well as disguised in larger, more urban area. Authorities have recorded more than 100 IED explosions and 80 shooting in Iraq since the beginning of the year. Iraqi and KRG (Kurdistan Regional Government) forces are screening people leaving ISIS-controlled areas like al-Qaim to arrest ISIS suspects, sympathizers and supporters. Numerous detainees have alleged that authorities are using inhumane ways to extract intelligence. Iraqi Law Enforcement agencies need non-invasive, torture-free forensic technology to obtain accurate intelligence and lead to eliminate and arrest ISIS-fighters, sympathizers in the country and using the same technology to reverse engineer the terrorist network and eliminate ISIS for good. Iraq, after so-called victory over ISIS, must empower its law enforcement agencies with the most innovative technology that can virtually and accurately distinguish ISIS fighters, sympathizers and supporters from innocents without any inhumane method. The technology that fits the bill is only offered by Brainwave Science and it’s called iCognative. This technology can very well be the silver bullet to cure this situation without abusing the human right. iCognative is the closest technology, advanced, impeccably accurate to determine critical intelligence hidden in the brains of terrorist. iCognative‘s dynamic specific screening power when deployed by law enforcement changes the whole power equation. Utilization of this technology enables acquisition of details recorded in their brain with all the concealed information required to identify the ISIS member or supporter in approximately 45 minutes. The remarkable application of iCognative maximizes intelligence collection discipline across various security verticals. Easy to learn, automated iCognative can be installed and used with no limitations on any suspect as it supports human rights and is non-invasive. Iraqi Law Enforcement can utilize iCognative technology to address the crucial problem- identifying between 20,000 and 30,000 ISIS members present in Iraq. A 45-minute iCognative test scientifically and accurately differentiates the terrorists from innocents and also provide critical intelligence, missing links and other vital information such as information about ISIS, the exact location of hideout in Al-Qaim, route, name and pictures of ISIS member and other disclosed information. iCognative test is unbeatable as there are no question answers, there are no false positives or false negative, no inhumane way of extracting information. The test analyses each brainwave response to each information (stimulus) flashed on a digital screen and determines with over 99% accuracy if the information under question is present in the suspect’s brain or not. iCognative unrivalled excellence overrides all existing security solutions and guarantees a high success rate with an accuracy rate of over 99%. It is only imperative that Iraqi Forces deploys Brainwave Science‘s iCognative to fight the terrorist threat to advance their national security mission.